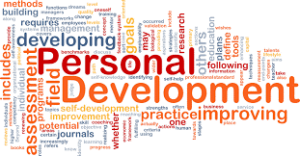 Personal development can be loosely referred to as personality. Optimum personal development enables student to think rationally and motivates student to achieve his goals and dreams. It defines the student’s personality. Personal development of student is threatened if there are obstacles in the way of normal growth (physical and psychological). 8 barriers to the personal development of a student are discussed in this article. Emotional wellbeing is very necessary to the proper personal development. Students have emotional demands and if they are not met; this can hinder the smooth process of personal development of a student. Parents must know their child so that they can save their kid from emotional issues. If student has some physical problems like if he is physically handicapped then there are chances that his personal development may be stalled. Physical inadequacy affects the normal personal development of a student. Economic crisis can also play a role in slowing down the process of personal development. If the student is going through economic crisis, his academics and personal development may stumble down. Student is affected the way he is being treated by his parents and teachers. Parents and teachers play an important role in shaping up the personality of students. If parents are unable to spend a quality time with their kid he might feel ignored and left out. If a student is living in negative environment then there are chances that his personal development may be adversely affected. Negative environment shuns the positive attributes of the personality of students. It is parents’ duty to make sure that the home environment is healthy and serene. Pessimistic thoughts hinder the smooth functioning of the personal development, when child feels negativity in everything then he becomes pessimistic. The reason for this pessimistic approach could be negligence from parents or other people in student’s life. Fear of rejection warrants the personal development of a child. If the student is preoccupied with the fear of rejection then his personal development is slowed down. He has irrational fear that his family and friends will abandon him. If the student is not resilient enough he is not able to cope with the stressors present in the environment. This inefficiency to deal with the issues leads to block personal development of a student. These students don’t feel capable because they have low self-esteem which makes them incompetent and incapable. These were the 8 barriers that might affect the personal development of a student. Parents should guide their kid whenever they see an issue with their kid. The negligence from parents can strongly affect the personal development of student. He loses faith and confidence in his abilities. His academics are ruined and his personality is also shattered down. These students need emotional and moral support from their parents and teachers as well.